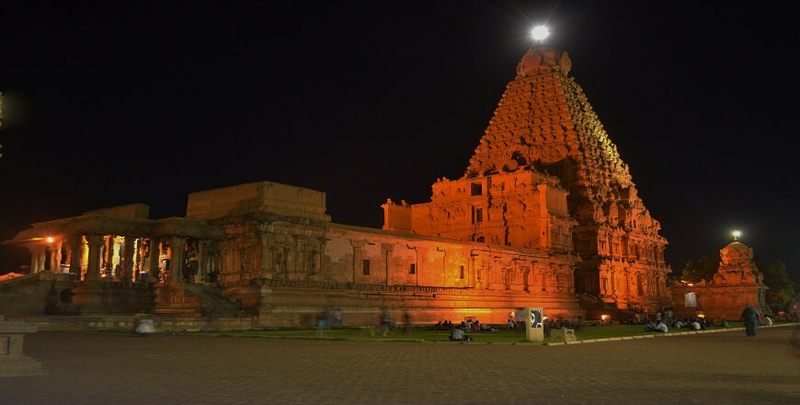 This Tour package is Specially Customize for the Religious person and who want to explore and are curious to know about the ancient and epic Temples of tanjore,Trichy,Madurai(city of Temple), Rameshwaram and Kanyakumari. Upon arrival at CHENNAI Airport/Railway Station you will be recieved by our representative and transferred to the Hotel. Afternoon proceed for sightseeing of CHENNAI – visit KAPALEESHWAR Temple, SANTHOME Cathedral, PARTHASARTHY Temple, MARINA Beach and NATIONAL Art Gallery.Overnight stay at the Hotel in CHENNAI. ​Today After Breakfast, Proceed to Tanjore. After Checking into the Hotel at Tanjore and relaxing for a while, proceed for sightseeing of Chennai – visit Brihadeeswara Temple, The Palace, Art Gallery and Saraswati Mahal Library. Overnight stay at the Hotel in Tanjore. After breakfast proceed for a day excursion to TRICHY – visit ROCK FORT Temple, TIRUVANAIKKAVALTemple,ELAKURICHI and VAYALOOR. Evening drive back toTANJORE. Overnight stay at theHotel in TANJORE. After breakfast check out from Hotel and drive to RAMESHWARAM, on arrival check into Hotel. Afternoon proceed for sightseeing of RAMESHWARAM – visit RAMANATHASWAMY Temple,AGNITHEERTHAM, RAMJHAROKA Temple, DHANUSHKODI and ADAM’S Bridge. Overnight stay at the Hotel in RAMESHWARAM.